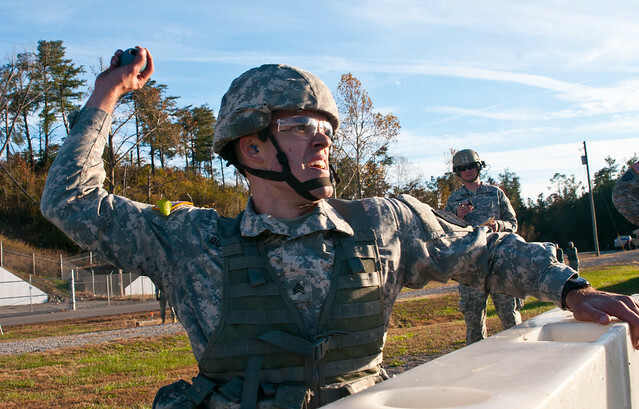 GREENVILLE, Ky. – “The Full-Soldier Concept.” This was the theme behind the 2015 Kentucky National Guard Soldier and Non-Commissioned Officer Best Warrior Competition. The four-day competition, held Nov. 6 to Nov. 9, 2014, at Wendall H. Ford Regional Training Center in Greenville, Kentucky, saw the top Soldiers from the state’s six major commands vie for a shot at the regional competition. But this crucible was not for the faint-hearted. Competitors were challenged in a series of events meant to test their mental, physical and emotional limits. Even before the competition began, State Command Sgt. Maj. Thomas Chumley, Jr., senior enlisted leader for the Kentucky Army National Guard, gave the Soldiers a word of caution. Click here for more photos from the competition. According to Chumley, the Best Warrior Competition provides the best Soldiers from the Kentucky Army National Guard the opportunity to prove themselves. This year, the focus of the competition was on preparing Soldiers for the regional competition and building pride in their skills as Soldiers. 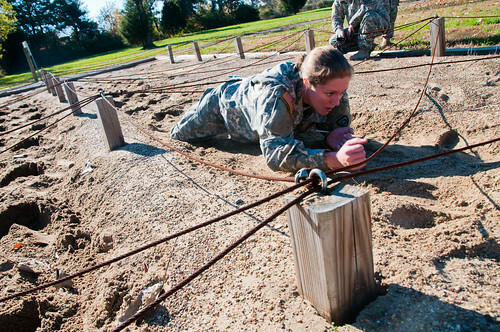 This year’s events consisted of a written test, composing an essay, completing the Army Physical Fitness Test, negotiating an obstacle course, qualifying with an M9 pistol and M4 carbine, enduring a stress shoot, a five-mile ruck march with a 35-pound load, land navigation, a series Army Warrior Tasks and sitting through a review board. Finishing these tasks, to standard, is one thing. But making sure the 17 competitors were able to do so safely fell to a support staff of more than 40 individuals. With such a wide variety of events to take on, competitors across the board agreed that making it to the state level was all due to solid preparation. Hitting the books is just as important as hitting the gym in a competition like this where every aspect of being a Soldier is put to the test. 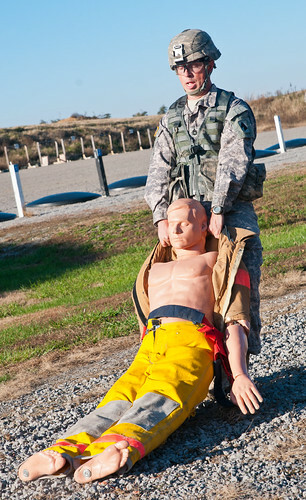 “I pulled out the Field Manuals and the study guides and learned as much as I could and went over the Army Warrior Tasks to prepare myself for the higher levels,” said Army Staff Sgt. Jesse Mascoe, a fire directional specialist with Bravo Battery 1/623rd Field Artillery, and this year’s NCO of the Year winner. As the weekend progressed and drew to a close, the competitors were able to reflect on their experiences and what it meant for them to be able to participate on such a highly-visible stage. “It means a lot to represent my unit because I want to put them in the ears of the Army to say we have Soldiers, even in Field Artillery, who can send people to high positions and high places,” said Mascoe. 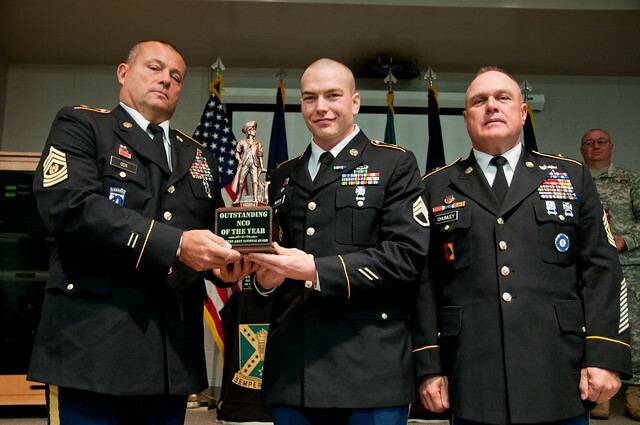 While most of the competitors looked to this weekend as an eye-opening experience, for the Senior NCO of the Year winner, Sgt. 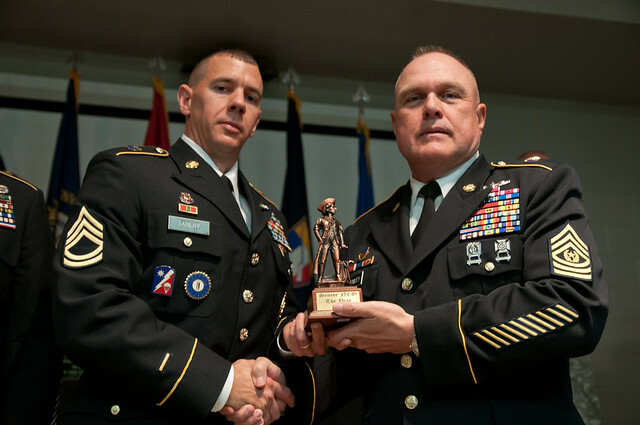 1st Class Jay Taheny, a Recruiting and Retention Area Supervisor with the Kentucky Army National Guard’s 2/75th Recruiting and Retention Battalion, this competition was the defining moment of a career spanning almost 20 years. 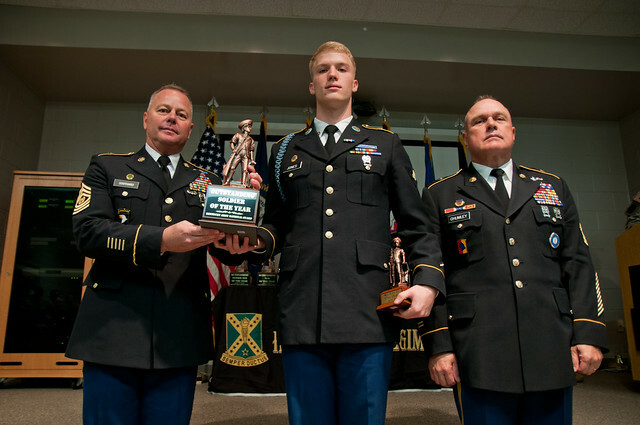 The Soldier and NCO winners from this weekend will go on to compete in the regional Best Warrior Competition in the Virgin Islands in the spring of 2015.